Houston, we have a problem! Before a game at the Astros’ ballpark, Mike and Kate get to meet astronaut commander Nick Rice at the nearby Houston Space Center. He’s planning to display a very rare moonrock at an autographing event later. But just before the event, a nefarious outlaw knocks out the commander and steals the moonrock! Can Mike and Kate figure out who did it . . . when their only clue is a broken green feather? 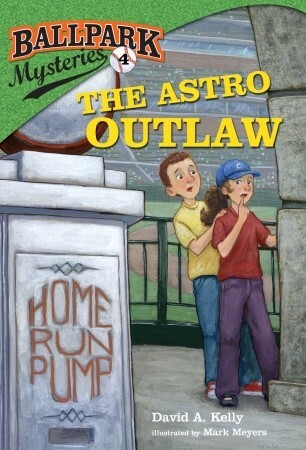 The Astro Outlaw includes a fun act page about the Houston Astros’ stadium with trivia about the train on the outfield wall and the homerun gas pump. Teachers – Check out these teaching resources for The Astro Outlaw!